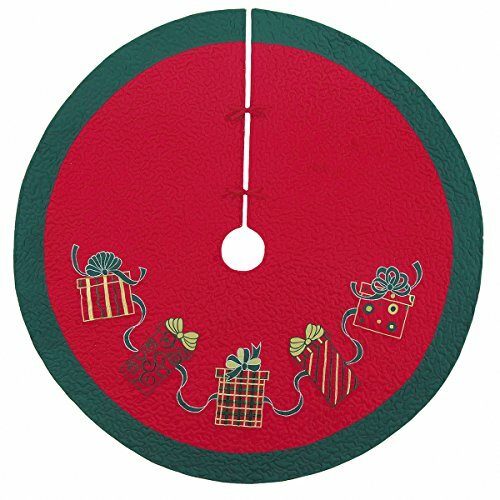 This red tree skirt is bordered in dark green. It is decorated with five embroidered, ribboned gift boxes in a variety of patterns, in tonal green and red. Coordinating items are available in this collection.